As part of HGOco's Song of Houston: East + West initiative, Houston Grand Opera presents The Memory Stone, composed by Marty Regan to a libretto by Kenny Fries. chamber opera takes place after the March 2011 earthquake and tsunami in Japan. 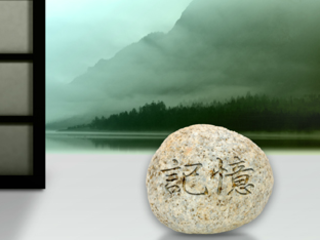 A mysterious woman appears with a memory stone in Houston's Japanese garden. The woman's powers cause two Japanese-American women to relive crucial moments from their respective pasts. The Memory Stone explores the invisible bond between the women, and how they support those who have been affected by the devastation of the earthquake and tsunami in Japan. The cast includes Nina Yoshida Nelsen, Ji Hyun Jang, Takaoki Onishi and Mihoko Kinoshita. Native Japanese instruments will be played by Yumi Kurosawa, 21-string koto musician, and David Wheeler, shakuhachi (Japanese flute) musician. Admission is free; reservations required.